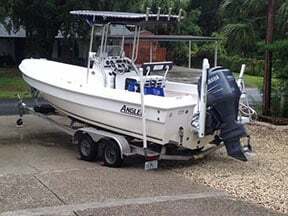 Get on board a 23 ft center console boat with two Coast Guard licensed captains and head out of the Kings Bay for an unforgettable scalloping adventure. After cruising down the “Nature Coasts” Crystal River for six miles you will enter the Gulf and head off to the scallop grounds. Get ready for an amazing underwater Easter egg hunt as we guide you in the water and on the boat. 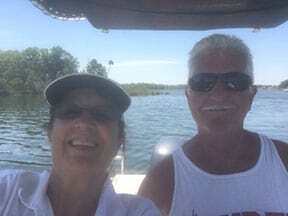 As a result of having two captains one of us will be with you at all times both in the water and on the boat. 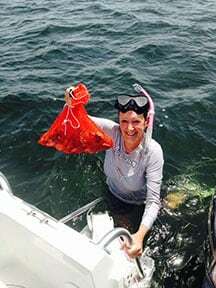 Everything you will need is provided, mask, snorkel, fins, catch bag, license, water and Gatorade. We recommend bringing a lunch since we will be gone from 9:00AM until 3:00 PM. In addition we will clean your catch for you so that it is ready for cooking at any of our local restaurants or give you hints on preparing them yourselves. 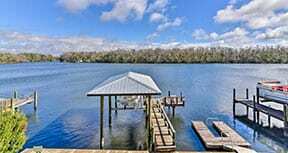 The boat is equipped with the latest electronics and SiriusXM satellite radar and music. We have a T-top and can deploy two umbrellas if needed for shade. 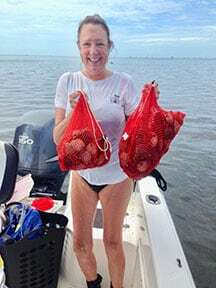 You will need a small ice chest to carry your cleaned scallops home or to a restaurant after you leave the boat. 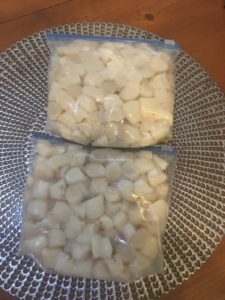 We do provide an ice chest on board and will give you ice for your scallops. 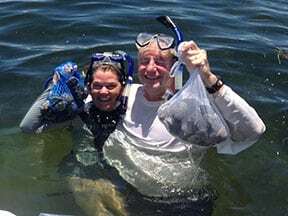 Since scalloping is well known for being very family friendly and entertaining for all generations, bringing your kids with you is a must. If they’re six or older Bonnalee Scallop Charters will provide them with an experience of a lifetime.